went to kansas city and ate way too much bbq. i can’t help it. i’m obsessed. 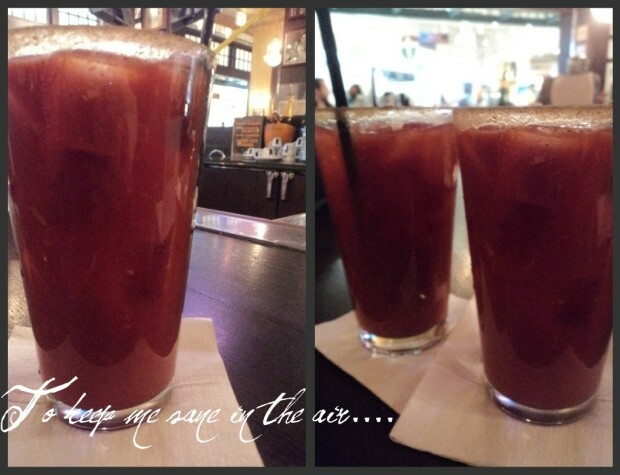 first up is the chicago bloody mary’s at harry carey’s. fyi, these babies were not good at all. not enough spices and no celery, even though the menu clearly advertised that there was supposed to be. i must have some sort of alcohol (unless there’s a doctor out there that can prescribe me something to knock me out!) while flying. i did not get a picture of the double vodka drink that i had to have on the way back. seriously? scary bumpy flights are not my friend. first up for bbq was bates city bbq in shawnee. sorry the picture is kind of small, but you get the point. it was a little hole in the wall. we were supposed to go to jackstack, but because of the influx of green bay packers fans, and holiday shoppers down at the plaza, there was a 2 1/2 hour wait. umm, no thanks. the food! burnt ends and multiple meat sandwiches. the french fries at this place were amazing, and they gave you a ton of them! 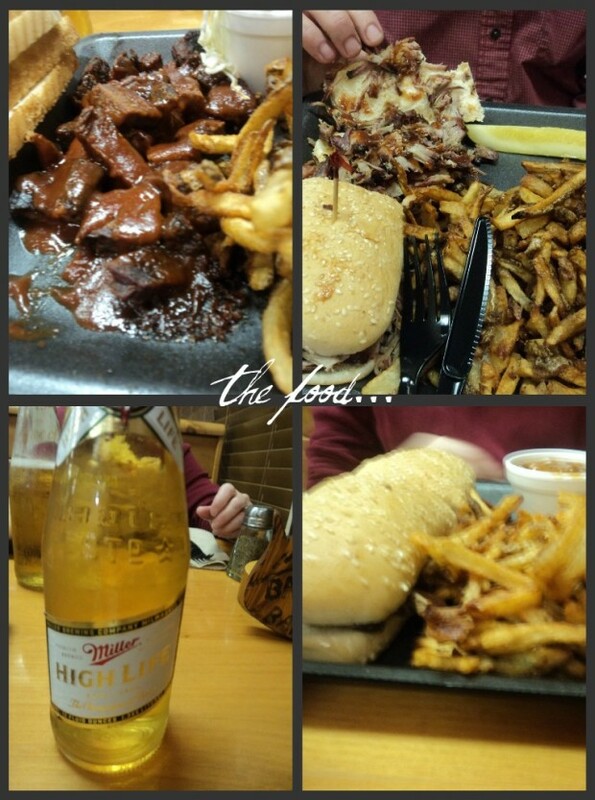 plus, you can always judge a bbq place by their beer that costs $1. champagne of beers? yes please. the food was fantastic and the people behind the counter were so nice. 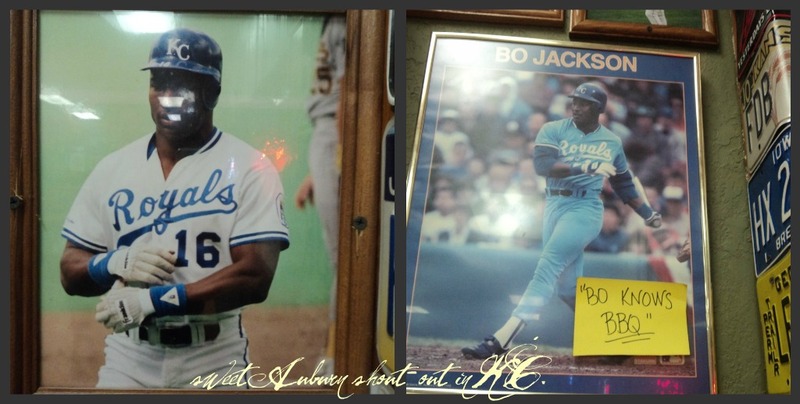 i know you can’t read this either, but it says, “sweet Auburn shout-out in KC.” bo holding down bates city bbq. next place we went to was arthur bryant’s on the way to the airport monday. hello awesomeness. they had a few different types of bbq sauces, and instead of having pulled pork, which i usually gravitate toward, i went for the sliced. 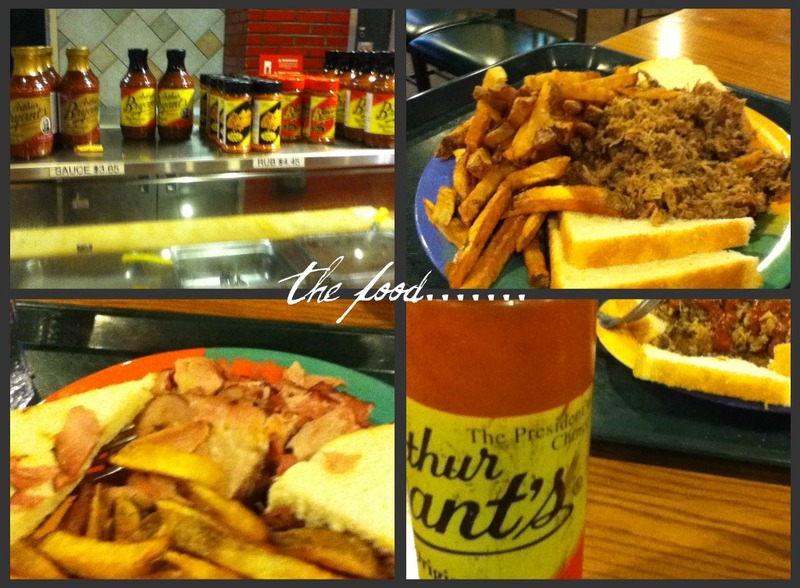 even though it was good, it reminded me more of ham than bbq. my dad had this pulled sandwich that combined all the meat. they definitely gave you more than you could eat. and of course, the option to buy their sauces and rubs. i hope everyone had a very merry christmas. maybe i’ll stop eating so y’all can stop reading about it.